It is officially soup season in our house. I LOVE having soup for lunch and/or dinner this time of year. 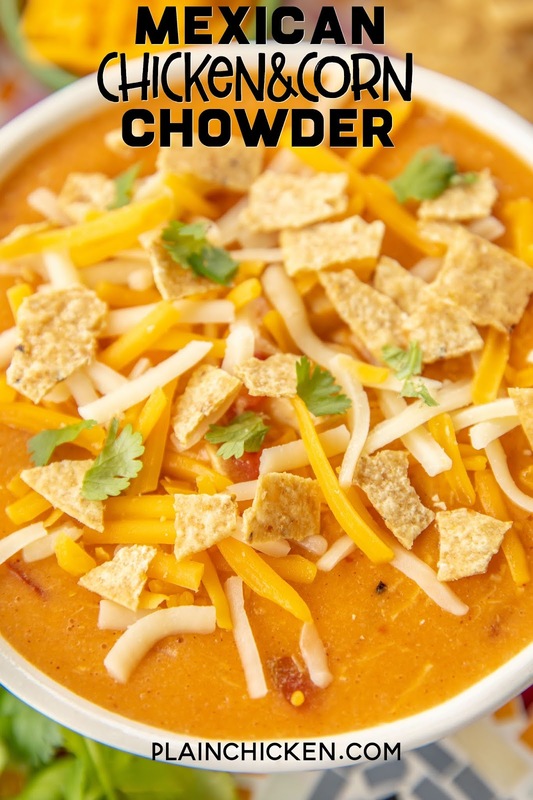 This Mexican Chicken Corn Chowder is a weeknight favorite! Use a rotisserie chicken, and this is ready in under 30 minutes!! Woohoo! 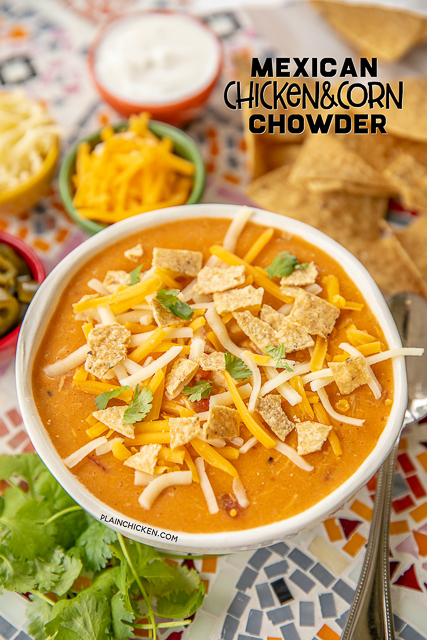 This Mexican Chicken Corn Chowder is so simple and packed full of amazing flavor. Chicken, creamed corn, diced tomatoes and green chiles, half-and-half, chicken broth and spices. 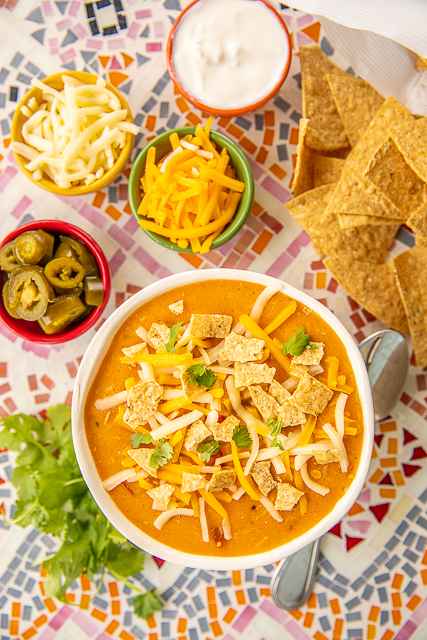 If you want to kick up this Mexican Chicken Corn Chowder, feel free to add some diced jalapeños. Alternately, if you are worried about the heat from the diced tomatoes and green chiles, make sure to buy the mild can. 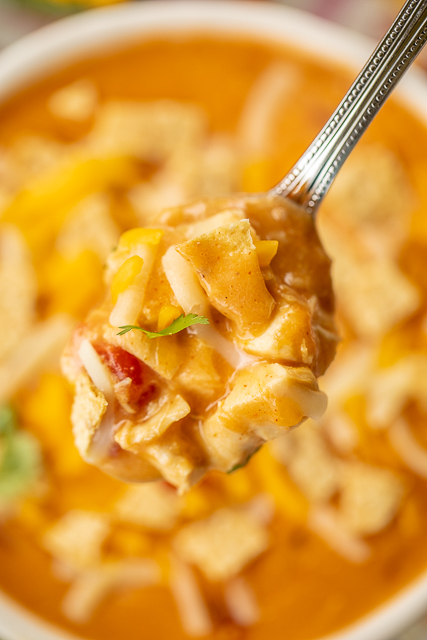 We topped our bowls of Mexican Chicken Corn Chowder with some cheese, tortilla chips and a sprinkling of fresh cilantro. We've also added those jalapeños and some sour cream too. We ate this for lunch and leftover for dinner. It was equally delicious reheated. In a Dutch oven, combine chopped chicken, diced tomatoes and green chiles, creamed corn, garlic, onion powder, cumin and chicken broth. Bring to a boil over medium high heat. 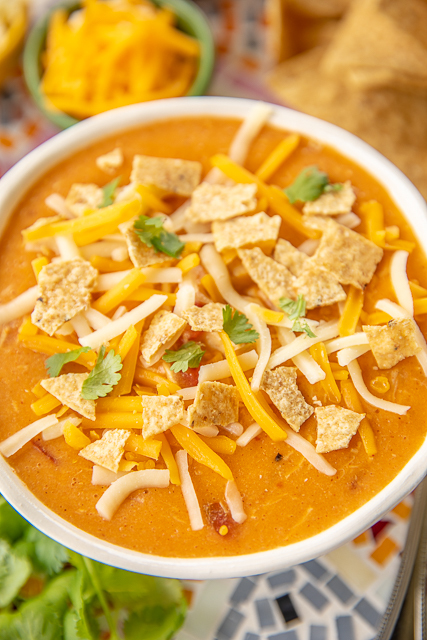 Reduce heat to simmer and stir in half-and-half and shredded cheese. Season with salt and pepper to taste. Simmer for 15 or 20 minutes. I'm so ready for soup season - actually I started getting ready approximately July 5th. This looks amazing, can't wait to try it! Any guesses on the calorie count?